On April 12, 13 and 14, we will travel to an unknown destination by means of... hitchhiking! - One of the couple signs up down below. The other person does not have to do this! 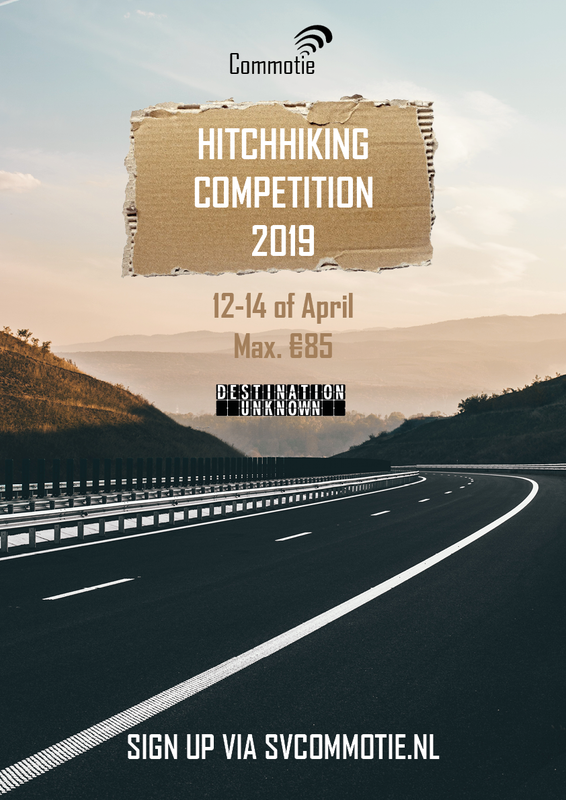 - After you sign up, you will receive a form that you have to fill out with personal information and to verify with whom you will be hitchhiking. Please note: unsubscribing for the hitchhiking competition is not possible. Replacement can be arranged until April 11th. There is only room for 14 couples so make sure you're on time!